1. More Super Mario Galaxy! 2. That’s Not My Yoshi! We had a special business-trip session of “Iwata Asks”1 for the previous game, Mario Galaxy2, and this time, too, the timing for talking to the Tokyo Software Development Office has overlapped the most intense period of development, so again I’ve come here to Tokyo. Thank you for having me. 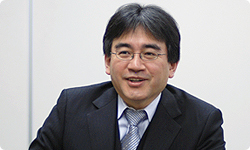 1Business-trip Iwata Asks: Click here for the session of Iwata Asks: Super Mario Galaxy. 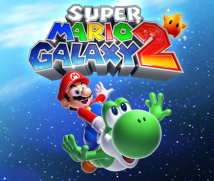 2Super Mario Galaxy: A platform game released worldwide for the Wii console in November 2007. Okay, first could you please introduce yourselves and tell me how you were involved with this game? 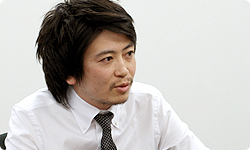 I’m Koizumi from EAD Tokyo Software Development Department. I worked on the previous Mario Galaxy as director, but this time there are three directors, with me as producer, offering advice from a position one step removed from the site of the development work. 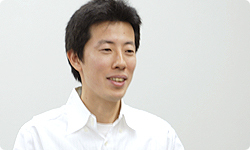 I’m Hayashida, and I’m in the EAD Tokyo Software Development Department, too. I was one of the directors. This was your first time to work as director on such a large project, wasn’t it? Yes. But 17 years ago I worked as director on Joy Mech Fight3, a fighting game. For this time, I took the various elements suggested by the staff and integrated them into one product. 3Joy Mech Fight: A fighting game released for the NES system in Japan in May 1993. 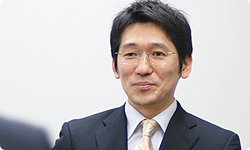 I’m Hayakawa from the EAD Tokyo Software Development Department. I was in charge of coordinating the programming for this game. Rather than tackling the programming myself, I oversaw the programming as a whole, paying attention to making sure that the other programmers could make full use of their abilities. I’m Motokura from the EAD Tokyo Software Development Department. I was in charge of coordinating the design elements. Last time, I made the player-characters and such aspects of the game myself, but this time I stood back a little, like Hayakawa-san, writing specifications, making test models to fit those specifications, and trying to create an environment in which the staff around me could work comfortably. Actually, we all first came together for Mario Sunshine.4 4Super Mario Sunshine: A 3D platform game released for the Nintendo GameCube system in Europe in October 2002. So you’ve been working together for ten years. Well, I’d like to start by asking you how development of Super Mario Galaxy 2 began. Well, actually, just after we made the first Mario Galaxy, Miyamoto-san suggested making another one since we had put so much effort into making an engine that could serve as a good foundation for another game. That’s been one of Miyamoto-san’s methods ever since we followed up Ocarina of Time5 with Majora’s Mask.6 5The Legend of Zelda: Ocarina of Time: The first game in the Zelda series to appear in 3D. It was released in Europe in December 1998 for the Nintendo 64 system. 6The Legend of Zelda: Majora’s Mask: Released for the Nintendo 64 system in Europe in November 2000, one year and eleven months after The Legend of Zelda: Ocarina of Time. I suppose not. Unless you yourselves felt that you had left something undone, you wouldn’t feel like moving on with a follow-up. Development ended in the autumn of 2007. When we got together to evaluate the experience, I put in a request. I said I wanted to look back and talk over what went well rather than what went wrong, and I took the role of the listener of whatever all the others had to say. Wasn’t it hard just listening without saying anything? Like everything was going according to your plan? The idea was to make a new game by simply making use of the spherical land forms from the first game and adding new elements. I heard about that from Miyamoto-san. What did all you directors think when you heard about making a game labelled 1.5? It sounded intriguing to me. We hadn’t really made any of the other games in the Mario series like that, and it would give us a foundation to work with. Since we wouldn’t have to expend effort on that, I thought we could really beef up the contents of the game. I remember that time very well. 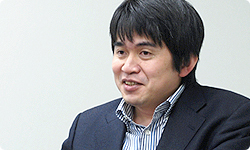 When I talked to Hayakawa-san, he said, “So it’ll be like More Super Mario Galaxy?” and I thought, “Yeah, that’s right!” When we had looked back at the first game, we wanted to do more, so I explained to everyone that we would adopt the concept of More Super Mario Galaxy. Hayashida-san and Motokura-san, when you heard that, what did you think? To be honest…I’d pretty much used up everything I had on the first one. Me, too. I was completely dried up. I felt like I had done everything with the first one. We had come up with tons of ideas and then packed in all the good ones, and I didn’t think there were many left over. So when we had meetings at first, they were both in really low spirits. I could tell that, so I made a point of being positive. I thought maybe you were. I could sort of tell. We shared opinions, and one thing we agreed on was having Yoshi appear - which hadn’t happened in the first game - and we started from there. So you decided early on to have Yoshi appear. Yes. 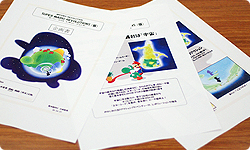 This is the proposal for Mario Galaxy from exactly five years ago. Oh, there’s a picture of Mario riding Yoshi. Yes. When we started making this game, I think they must have remembered this proposal. I see. You planned on having Yoshi in the first game. Why didn’t he appear? Well, if you’re going to put Yoshi in a game, he has to be a main element, but the previous game had spherical land forms and gravity shifts and lots of elements that were entirely new. If we’d thrown in Yoshi, too, it would’ve been too much all at once. Even if we had used him, we might have only been able to use him on a single stage. And that wouldn’t have been enough for him. Right. So we gave up.